Public Transport Access: Belgrave Line – Get off at Upper Ferntree Gully Station and walk east, following Burwood Highway, to the park entrance (near the intersection with Mount Dandenong Tourist Road). Head through the car park and the walk begins near the playground at the end. Total walk to the playground is around a kilometre. If the 1000 Steps / Kokoda Memorial Trail isn’t enough of a “hike” for you, the Ferntree Gully Circuit might be just what you’re looking for. 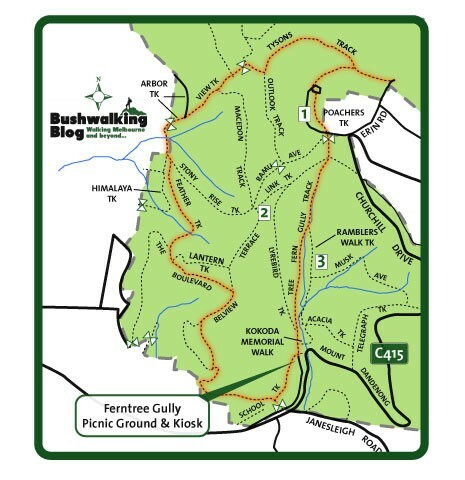 Starting with the 1000 Steps, this walk explores the area around Ferntree Gully for a further 6 km. 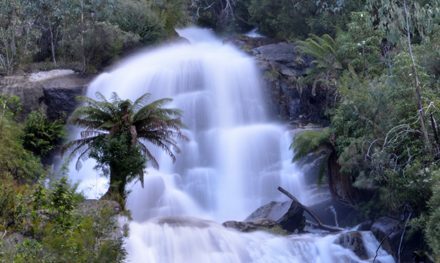 The Ferntree Gully section is undoubtedly the most attractive section of the circuit, but on the north and western sides of One Tree Hill you’ll stroll through beautiful dry open forests of stringybark and tall mountain ash. There are brief views of the city from some sections and the birdlife is also a highlight. 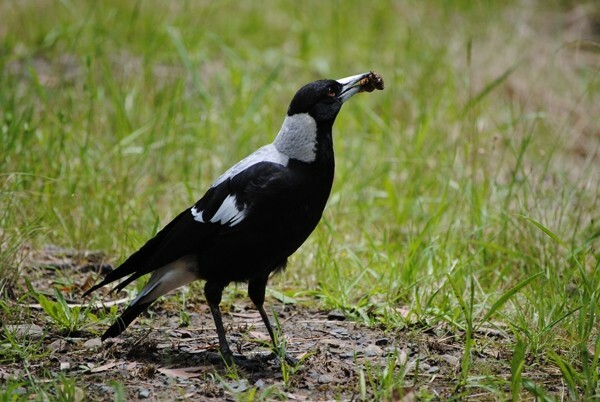 Kookaburras, rosellas and rainbow lorikeets are common, and on my most recent visit I was lucky enough to see yellow-tailed black cockatoos. 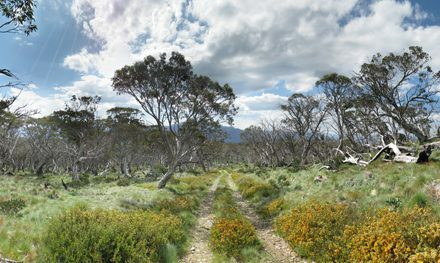 Circumnavigate One Tree Hill is a walk that begins from One Tree Hill Picnic Ground, which could be used as an extension to the 1000 Steps Walk. Just give picture and maps. Not a long prose of “from this ascend further to there and there.” A picture gives a thousand words. Your blog is so wordy but takes a long time to figure out. Just copy a map from google map, and mark from where to where. Thanks for your feedback. I’m a bit confused as to why you’d give said feedback on this particular post because there’s literally only 120 words other than the NEED TO KNOW and RELATED WALKS sections, but I can see why you’d say this about other posts. If you decide to revisit and you’re not looking for flowery prose, the NEED TO KNOW section tends to tell you everything you’d need to know in order to do a hike. For the posts where I do provide turn-by-turn instructions, some people tend to find them helpful as the directions might otherwise be a bit tricky for some. Having said all of that, I’ll definitely keep your feedback in mind for future hikes that I publish. Came across your blog while Googling for 1000 steps Dandenong walk. The Ferntree Gully Circuit looks interesting, plan to do it while I’m in Melbourne next week. I’ve been checking the weather forecast for Melbourne, looks like it will be either cloudy and/or raining almost the whole of next week. Was wondering if this trail is safe to hike when it is raining or has been raining the last few days. Anything precautions I need to take note? Also, this post is a few years old, wonder if there are any minor/major changes that is good to know. Pity the weather is so bipolar here, hey!? I’ve been out hiking every weekend lately and have mostly managed to avoid the rain though. This trail definitely wouldn’t cause you any issues after rain, anyway. I can’t think of anything you need to worry about except for keeping an eye out for snakes. I’ve just checked the Parks Victoria website and it doesn’t appear there are any closed tracks or anything like that on this trail. Good luck and let me know how you go! I did the hike earlier today. Was great! Lovely weather, no rain at all, combination of sunny, windy and cloudy. Some sections were steeper than expected, especially View Track but still manageable with small steps. 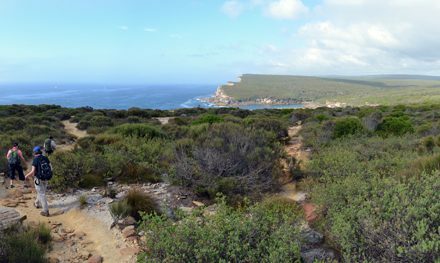 So glad to hear you enjoyed the hike (and sorry if I wasn’t clear enough about the steep sections – hopefully they were short enough anyway). It certainly could’ve been a worse day for it. I was looking out my office window during the sunny times, wishing I was out on the trail. If you click on the word “Map” in the green box at the top of the post, a map will appear. Did this walk alone on day before yesterday. It was awesome. Could not find the ferntree gully track so instead took the lyrebird track to reach down. 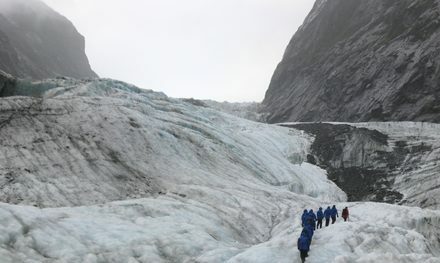 Overall it was a very good experience… Thanks for the map which helped a lot in navigating. After Arbor Track, the signpost for View Track is broken. Glad you enjoyed the hike. Thanks for the info about View Track. Looks interesting. Thinking of doing this circuit. How well marked is it? Do we need a specific map/walk book or is it marked/signposted. Everything is pretty well signed in that area. If not, it should be pretty easy to figure out from the map in this blog post, so maybe you could print that and take it with you. Happy hiking! Glad you found it helpful, Melissa. Cheers for the comment!